It’s not the HQ2 news the business world is waiting for, but e-commerce giant Amazon (AMZN-Q) will build a fourth fulfillment centre in the Greater Toronto Area, a million-square-foot facility in the Town of Caledon, north of the city. The company says the new facility will create more than 800 full-time jobs. It will join Amazon’s network of existing Ontario buildings in Brampton, Mississauga and Milton and a recently announced million-square-foot facility in Ottawa. This will be Amazon’s sixth fulfillment centre in Ontario, where it currently employs more than 2,000 full-time workers. It will be the innovative online retailer’s ninth such facility in Canada. “We continue to be excited about our growth in Ontario and the opportunity to better serve our customers in the region,” said Glenn Sommerville, director of Amazon operations in Canada, in a release Wednesday morning. Officials from Amazon were not immediately available for comment. Meanwhile, there is still no final news on the HQ2 front. Amazon has promised to announce which North American city will get its second headquarters, along with up to $5 billion in investment and 50,000 jobs, by the end of this year. Toronto is the only Canadian finalist among 20 cities which Amazon said it is considering. The Caledon fulfillment centre, which will be built in the Bolton area, will handle the packing and shipping of small items to customers such as books, electronics and toys. Together with the new facility in Ottawa, the two projects will bring more than 1,400 new jobs to Ontario by the end of 2019. Amazon did not immediately indicate whether it will own the facility, or if it will be leasing the structure. In Ottawa, a similar facility being constructed in a rural area at 5371 Boundary Rd., in the east end of the city is being built and will be owned by Montreal-based developer Broccolini. The Ottawa facility will contain almost 100 truck bays and, due to its location outside the urban area poorly served by transit, more than 1,000 parking spaces. Amazon is well into constructing its other new Canadian fulfillment centre, in the Nose Creek Business Park in Balzac, Alta., just outside Calgary. This building is more than 600,000 square feet and is expected to employ up to 1,000 people. Construction on the Nose Creek facility began in the fall of 2017, and Amazon hopes to be shipping products from it by late 2018. It will serve customers across Western Canada. The company is already hiring managers and some other positions for the facility. The company also offers programs such as Career Choice, where it will pre-pay up to 95 per cent of tuition for courses related to in-demand fields, regardless of whether the skills are relevant to a career at Amazon. Since the program’s launch, more than 16,000 employees across the globe have pursued degrees. 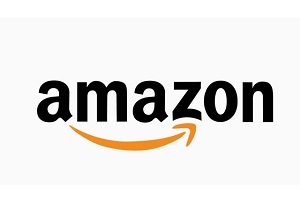 Amazon employs more than 6,000 people at fulfillment centres, corporate offices, development centres, and other facilities throughout Canada in Ontario, British Columbia, Alberta, and Quebec. To learn more about working at an Amazon fulfillment centre, visit www.amazondelivers.jobs.